Give your child a life-saving skill by learning to swim. 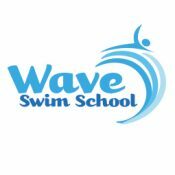 Here at Wave Swim School we pride ourselves in teaching all ages and abilities to swim in a positive, safe and fun environment. We recognise that each child is an individual with different needs and develop in different ways, which is why we keep our classes small with a ratio of 1 teacher to 6 children. Drowning is the second highest cause of accidental death of children. The most common places drowning occur are swimming pools, ponds and bath. The value of children learning to swim from an early age is highly beneficial. More children drown in holiday swimming pools abroad than they do in the UK. We teach children life saving tools and water safety. You can find the locations, dates and prices of our lessons here.